My wonderful old Stubben Romanus. Love this saddle. Just in time for Valentine’s day, I fell back in love with something old, and had a brief flirtation with something new. Lest anyone’s imagination run wild, I’m speaking of my old old Stubben saddle and Christy’s newest horse, respectively. First, the saddle. Despite my lack of posting, I’ve been keeping fairly busy with Derby, between business trips and incredibly foul freezing weather. His abscess is healed and I’m trying to get us back on a schedule. However, as I noted in previous posts, he threw my some curve balls in the form of unusual resistance to going forward and intermittent back soreness. All of this points to saddle fit, so despite the fact that he’s not changed much at all since I got a new saddle a bit over a year ago, the fact remained that he was telling me loud and clear that something was bugging him. So I hauled out my old Stubben Romanus. I bought this truly ancient saddle for a song a few years ago. I loved its minimal construction – flat seat and blocks that are barely larger than a pencil. It has a narrow twist and long flap. Despite the rock hard seat and ice-slick leather, I. LOVE. this. saddle. It’s thirty years old if it’s a day, and it’s faded to a weird green hue but I don’t care. I love how balanced an unconstrained I am in this saddle. While it appears to be nicely balanced on Derby, it also appears to be too wide. There is worryingly spare clearance twixt gullet and wither. Still, I tried it. Tacked up, checked the clearance. Two fingers. Got on. Checked the clearance. One finger. Sweated a bit. 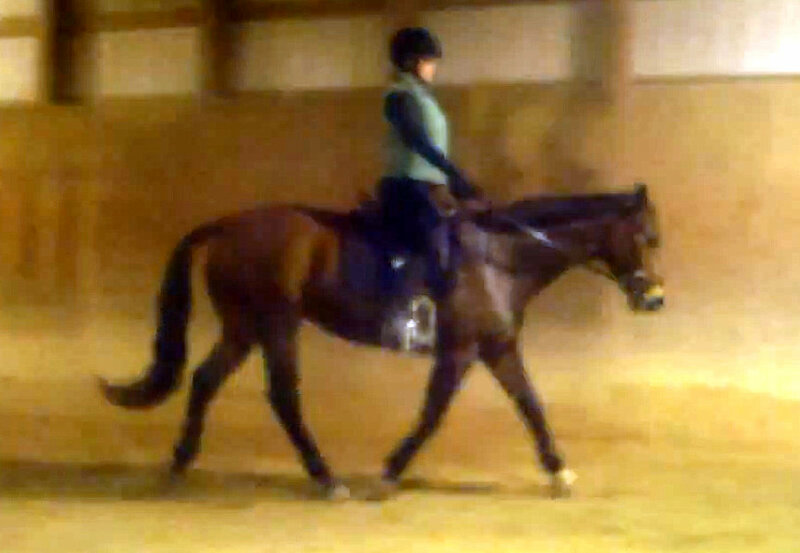 And then proceeded to have the nicest, roundest, happiest horse I’ve had in a while. Who was also quite responsive to light leg aids for basic lateral requests (bend, a bit of leg yield). Tooling along in the Stubben. We both liked it. The Stubben isn’t the answer, because it is not a good fit for Derbs. 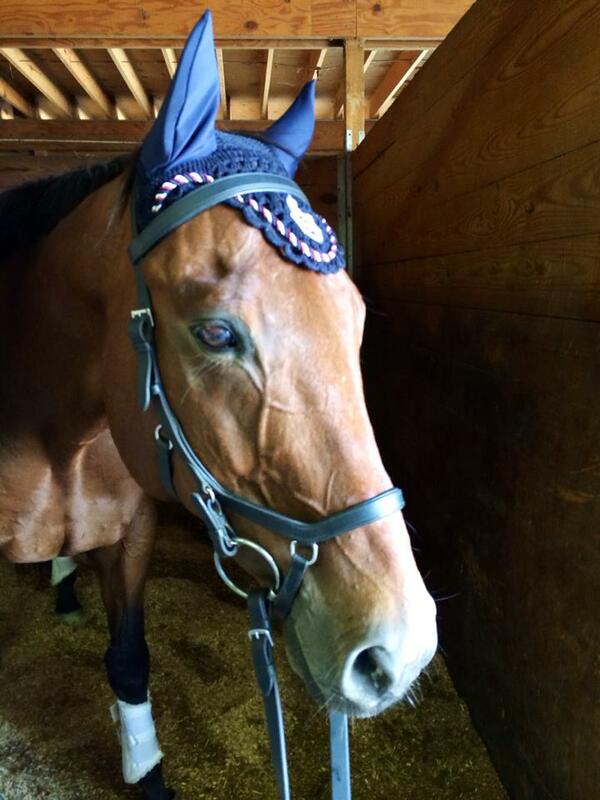 However, after having a couple nice rides in it, I put the Albion back on Derby today, and he went nicely. It didn’t seem to be quite the quality we’ve had in the Stubben but relative to other rides, he was good. So what is going on here? Was Derby being a cow due to lack of work? 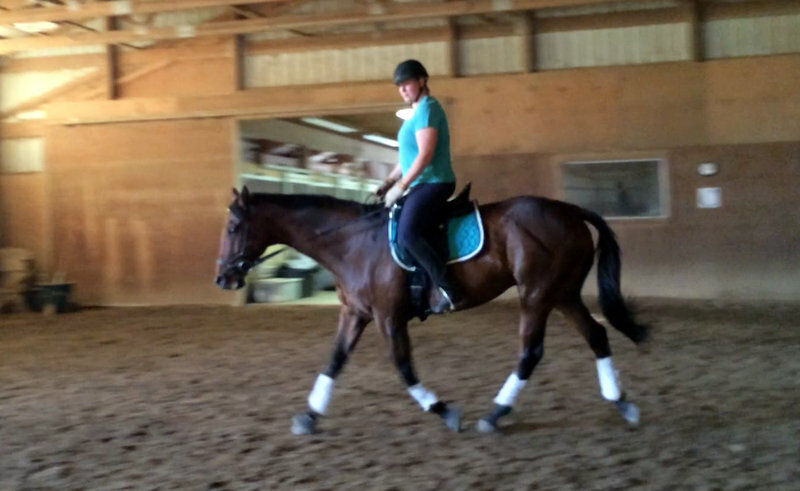 Was the soreness the product of turnout goofiness, a slip on the ice or lack of movement? Who knows. 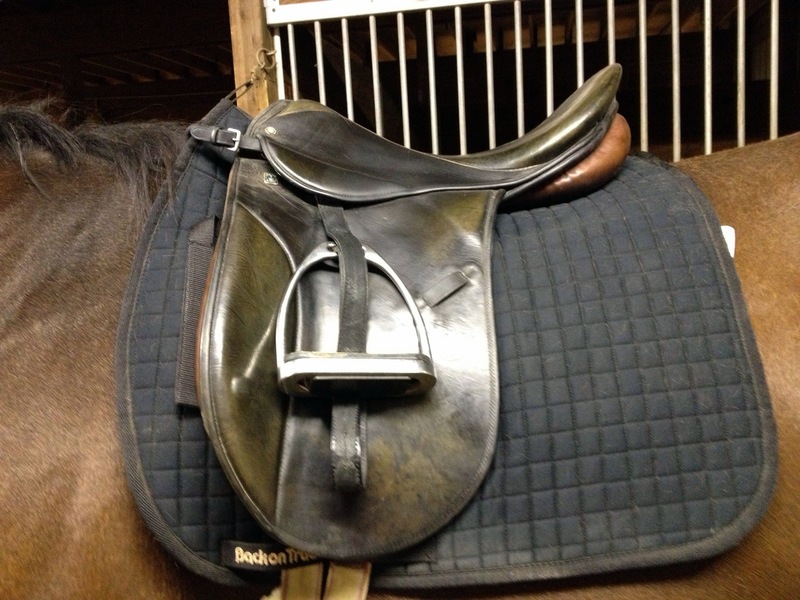 He’s on a schedule, and I’ll alternate saddles this week to try to get a fix on what’s what. In other news, I am making progress on making truly independent hands my habit, though I’m not there – I still need to remind myself. 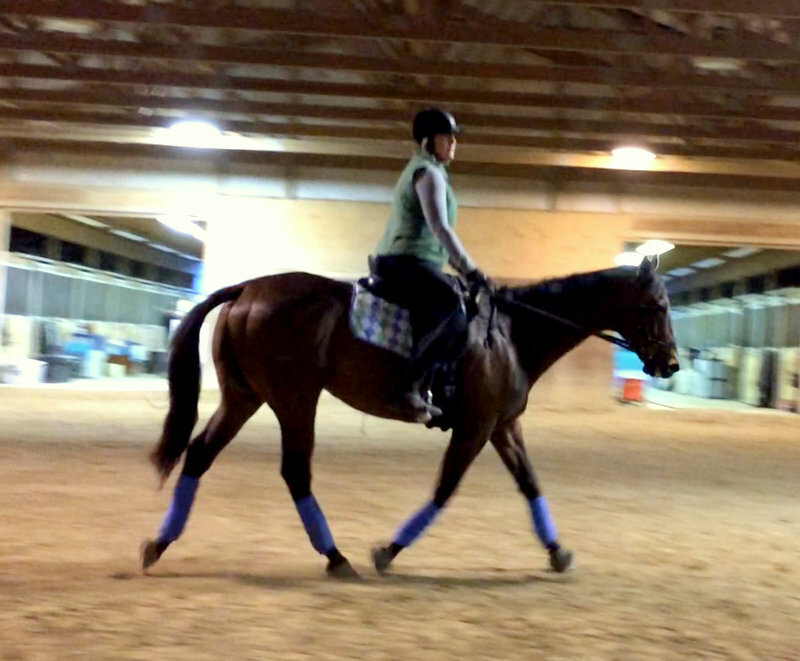 I’m also working hard on getting rid of the bad habit of pulling the reins back toward my thighs rather than riding the horse out into the contact. When I get it right, Derby lets me know, as the quality of our contact and his roundness improves immeasurably. 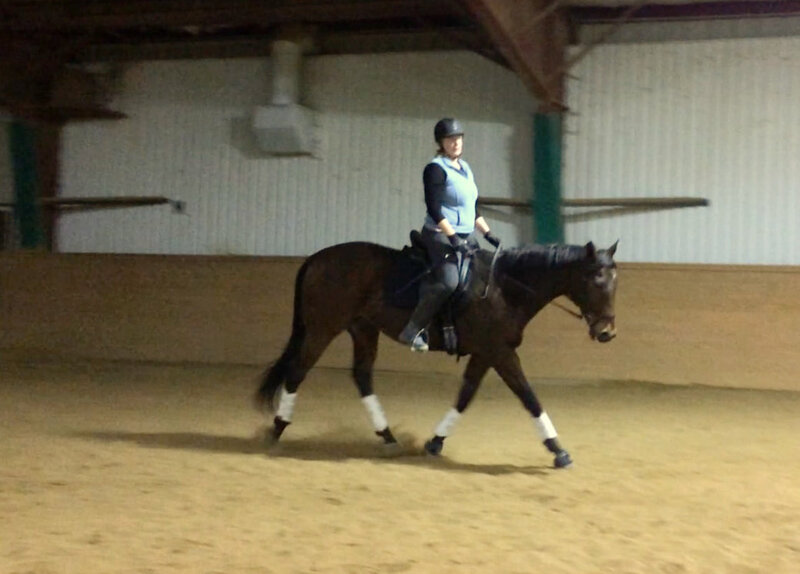 I’ve also been working on my seat and leg, dropping my stirrups each ride, and some two-point work, at both trot and canter. 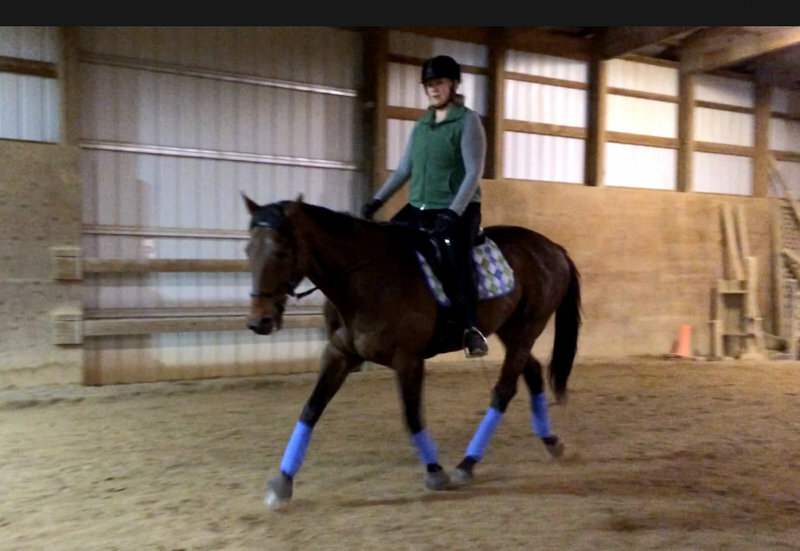 I also had a really fun lesson on Austin, the latest addition to Christy’s herd. 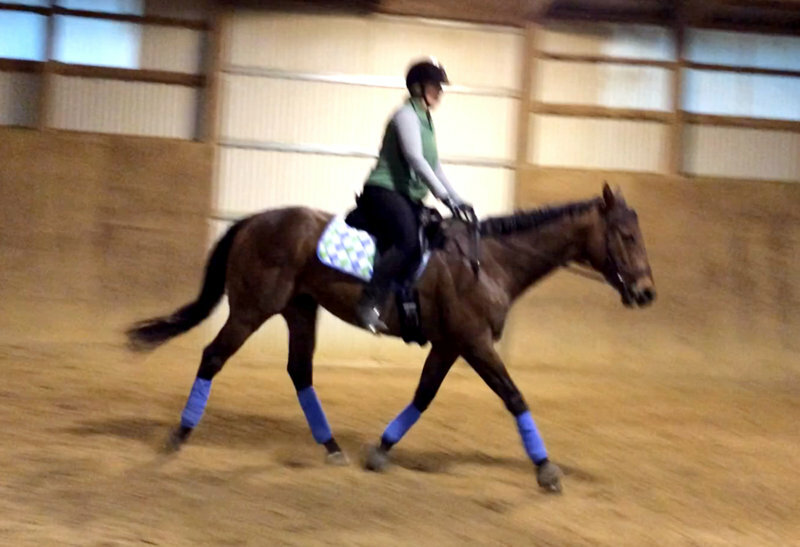 He’s a super cute paint that is also pretty fancy and responsive but super comfortable to ride. She’s put quite a bit of training into him and he’s developing beautifully, both in terms of muscle and in terms of talent. 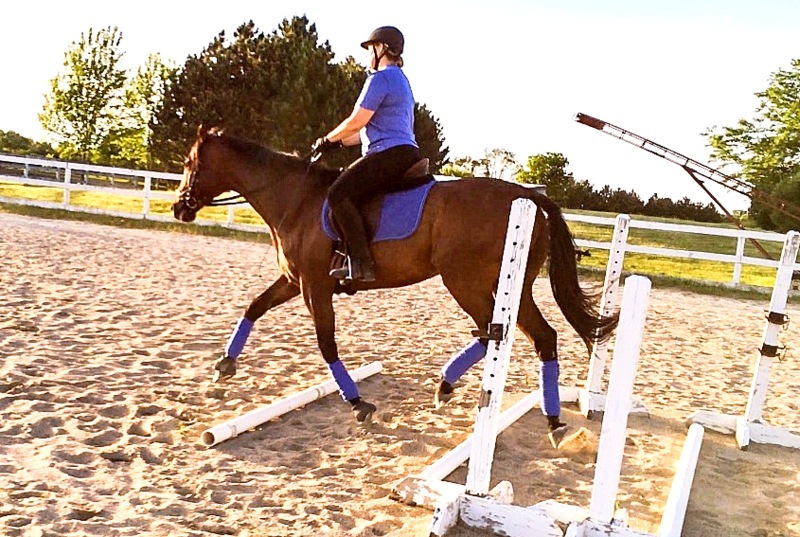 Riding him was very affirming, but a great experience, because I’m trying to pick up additional rides here and there when I can, on different horses. 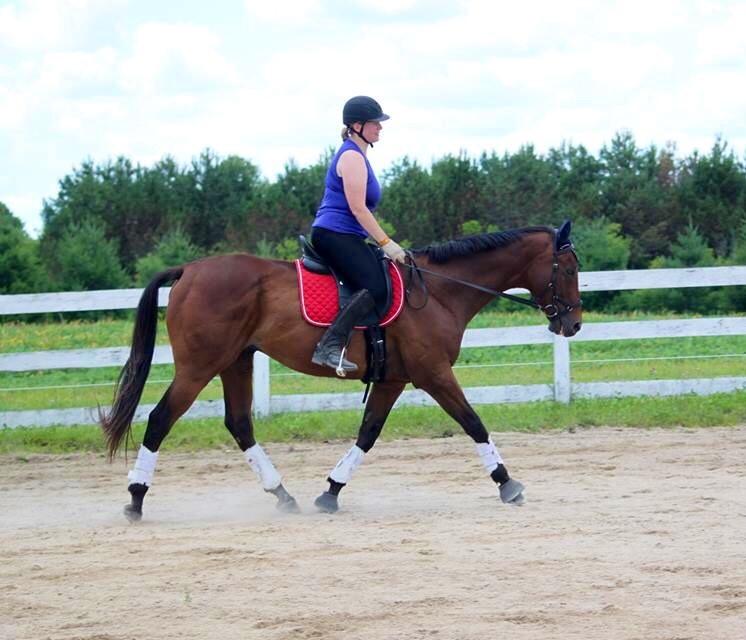 Riding Austin was also a reminder for me how responsive a horse can/should be. 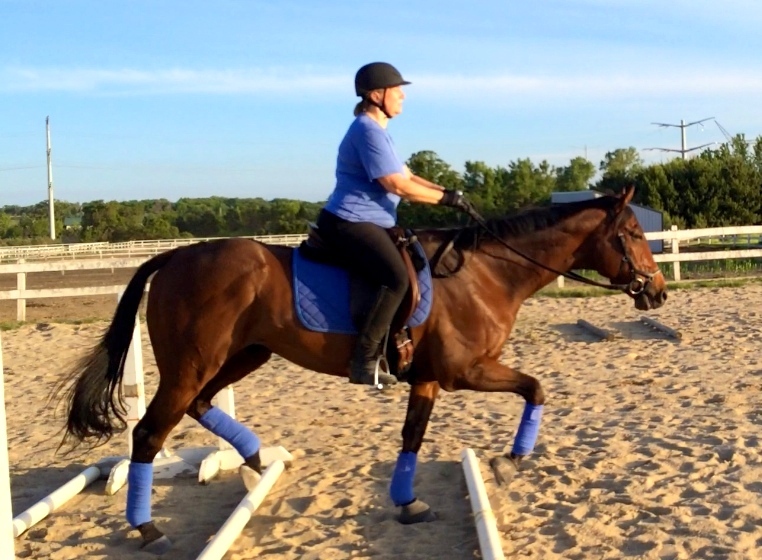 When I asked correctly, Austin immediately complied with my aids, bending, using his hind end and lateral movements – promptly and with no fuss. 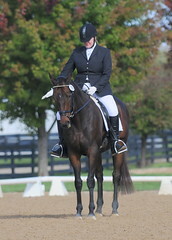 It was such a pleasure riding him.I hope I can talk her into another lesson on him again soon. And I need to work on developing similar responsiveness in Derby.